When an asteroidal or cometary object strikes a planetary surface, it is traveling typically at several tens of kilometres per second—many times the speed of sound. A collision at such extreme speeds is called a hypervelocity impact. Although the resulting depression may bear some resemblance to the hole that results from throwing a pebble into a sandbox, the physical process that occurs is actually much closer to that of an atomic bomb explosion. A large meteorite impact releases an enormous amount of kinetic energy in a small area over a short time. Planetary scientists' knowledge of the crater-formation process is derived from field studies of nuclear and chemical explosions and of rocket missile impacts, from laboratory simulations of impacts using gun-impelled high-velocity projectiles, from computer models of the sequence of crater formation, and from observations of meteorite craters themselves. A generally accepted model of impact cratering postulates the following sequence of events, which for purposes of illustration refers to a planet as the impacted body. Immediately after a meteorite strikes the surface of the planet, shock waves are imparted both to the surface material and to the meteorite itself. As the shock waves expand into the planet and the meteorite, they dissipate energy and form zones of vaporized, melted, and crushed material outward from a point below the planet's surface that is roughly as deep as the meteorite's diameter. The meteorite is usually vaporized completely by the released energy. Within the planet, the expanding shock wave is closely followed by a second wave, called a rarefaction, or release, wave, generated by the reflection of the original wave from the free surface of the planet. The dissipation of these two waves sets up large pressure gradients within the planet. The pressure gradients generate a subsurface flow that projects material upward and outward from the point of impact. The material being excavated resembles an outward-slanted curtain moving away from the point of impact. more than a few seconds to form completely, whereas craters that are tens of kilometres wide probably form in a few minutes. As meteorite craters become larger, however, the formation process does not cease with excavation. 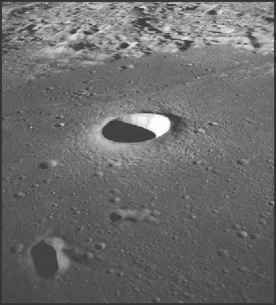 For such craters, the parabolic hole is apparently too large to support itself, and it collapses in a process that generates a variety of features. This collapse process is called the modification stage, and the final depression is known as a complex crater. The modification stage of complex crater formation is poorly understood because the process is mostly beyond current technological capability to model or simulate and because explosion craters on Earth are too small to produce true complex crater landforms. 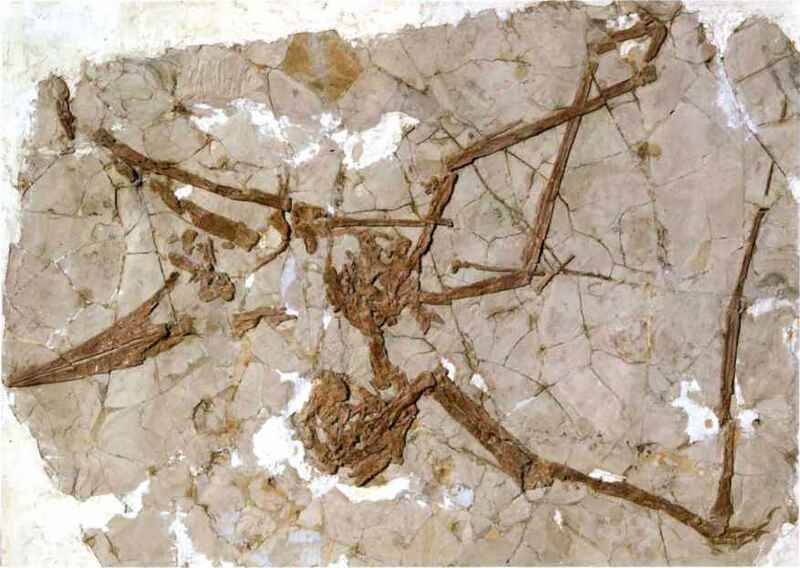 Although conceptually the modification stage is considered to occur after excavation, it may be that collapse begins before excavation is complete. The current state of knowledge of complex crater formation relies primarily on inferences drawn from field observations of Earth's impact structures and spacecraft imagery of impact craters on other solid bodies in the solar system. Features associated with complex craters are generally attributed to material moving back toward the point of impact. Smaller complex craters have a flat floor caused by a rebound of material below the crater after excavation. This same rebound causes large complex craters to have a central peak; even-larger craters have a raised circular ring within the crater. Analogues to the central peak and ring are the back splash and outward ripple that are seen briefly when a pebble is dropped into water. Also associated with the modification stage is downward faulting, which forms terraces of large blocks of material along the inner rim of the initial cavity. In the case of very large craters, discrete, inward-facing, widely spaced faults called megaterraces form well outside the initial excavation cavity. Craters with megaterraces are called impact basins.